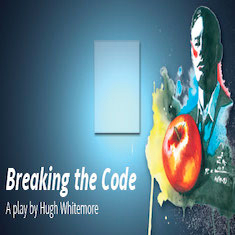 The play tells the story of Alan Turing, a brilliant mathematician, who devised the means of cracking the German Enigma code which helped win World War II. Meanwhile, he also “broke the code” by being unapologetically homosexual at a time when homosexuality was illegal in Great Britain. It was on Churchill's specific instructions that Turing was given all the resources he required - and his personal behavior tolerated. However, they system eventually catches up with Alan.